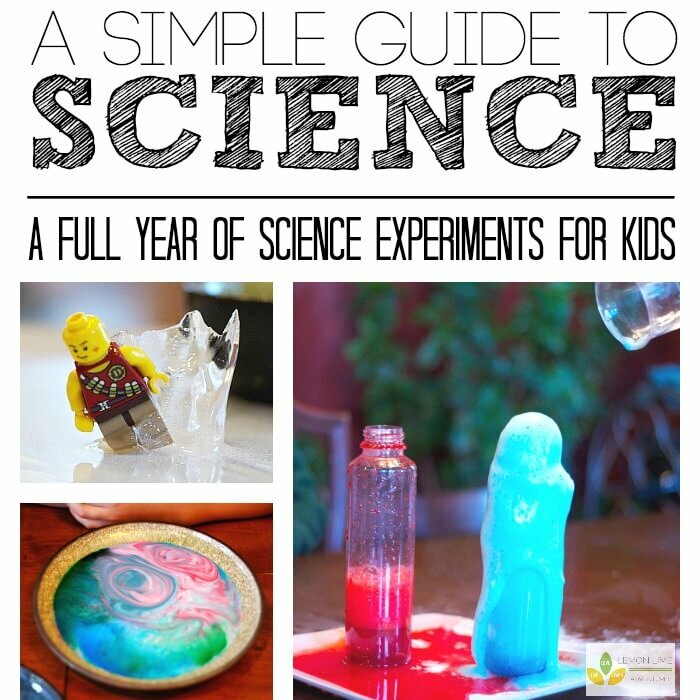 We love using Peeps for science and learning. Peeps math, Peeps recipes and even Peeps Science is where the fun is at during Easter time. 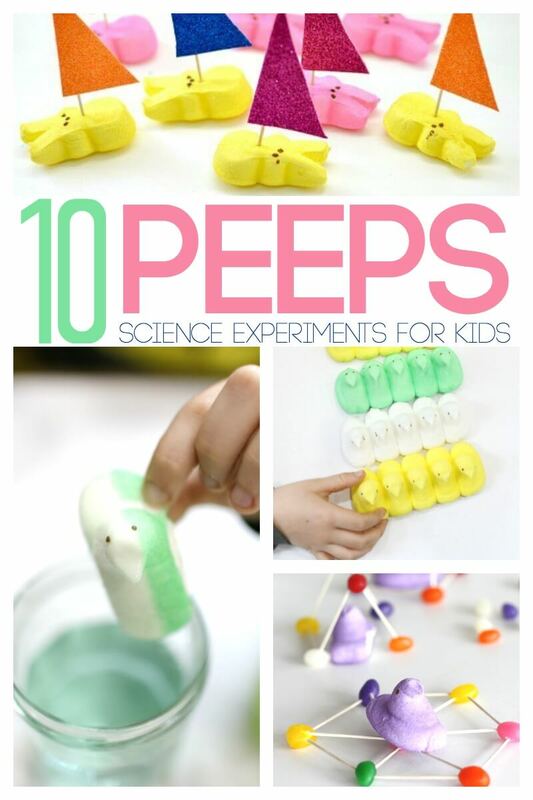 That’s why we have gathered our top ten favorite peeps experiments for kids for a second year in a row! Who knows, maybe we will make this an annual “thing”. We have been asked if Peeps has sponsored all of the crazy things we have done with Peeps over the years. Nope. We are just that crazy. 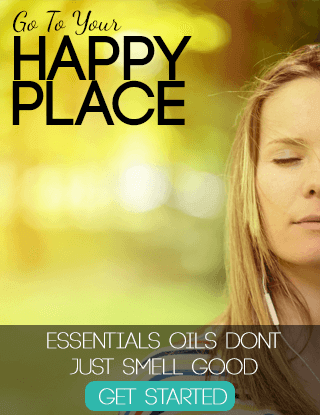 We kinda gravitate towards them at the store and stock up as soon as Valentine’s Day is over. 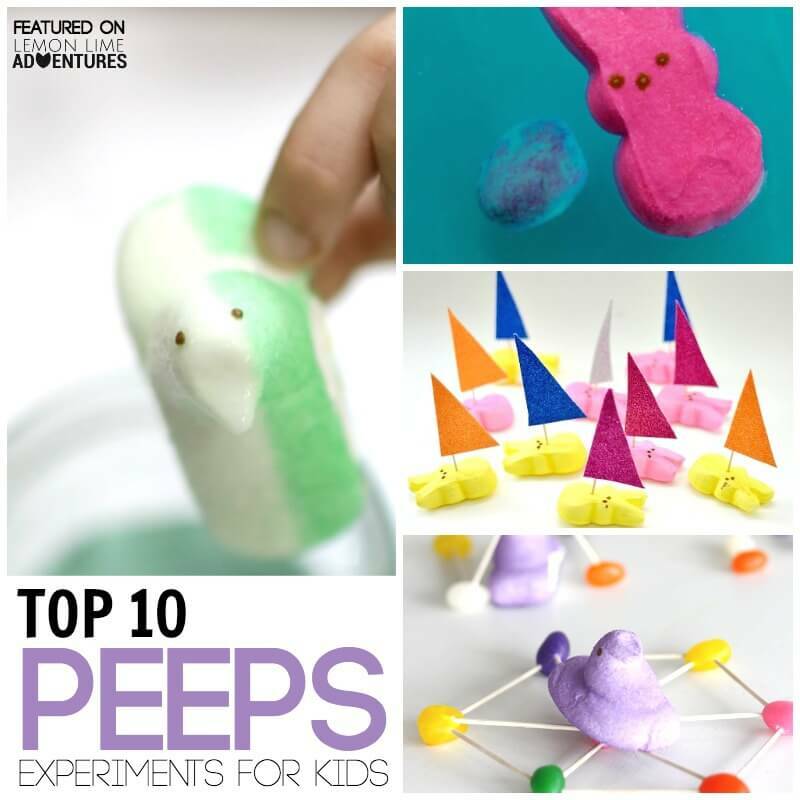 While this is supposed to be the Top 1o Peeps Experiments for kids list, you will see we’ve added a few math ideas to the bottom, too. Why? Well, Why not? Shattered Peeps | I haven’t had a chance to try this one yet but it is definitely on our wish list! 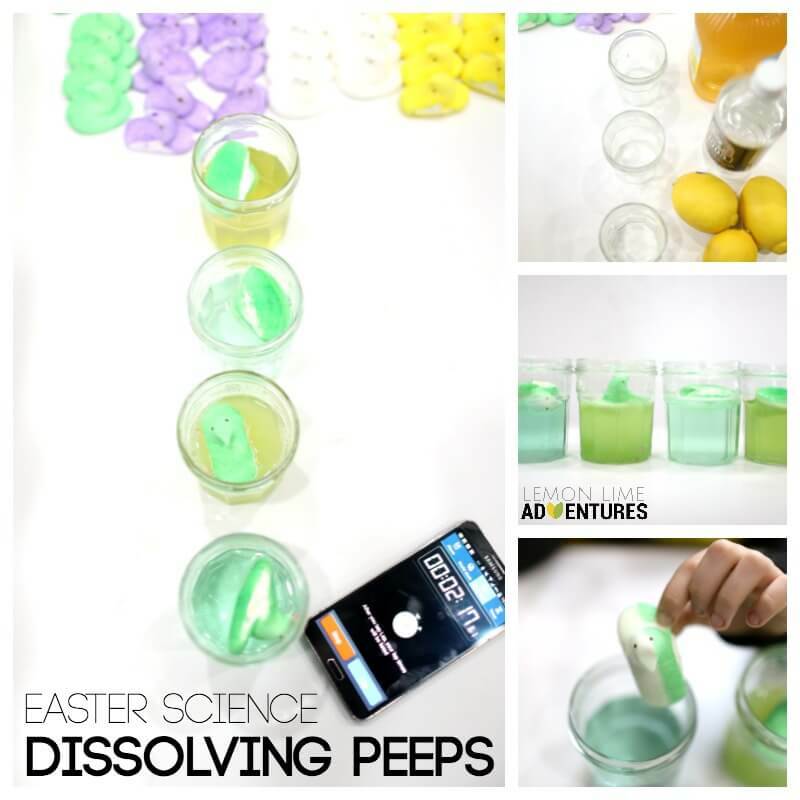 Dissolving Peeps Over Time | Dissolving Peeps in acidic liquids over the course of a week can prove some very interesting theories. 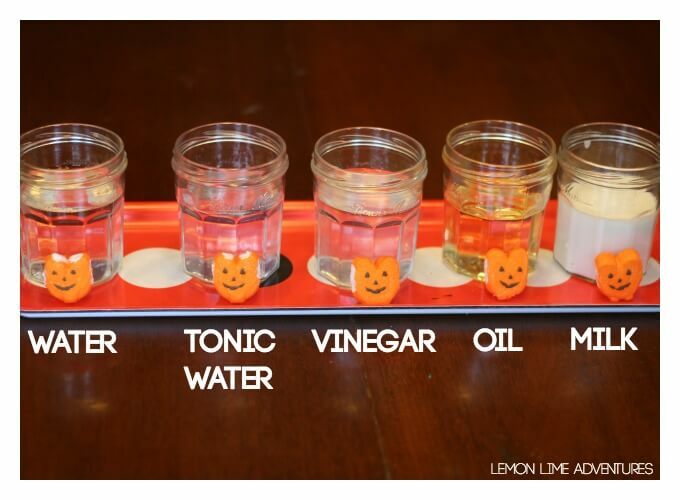 Dissolving Peeps with different liquids | What liquid will dissolve a Peep the quickest? How long will it take? 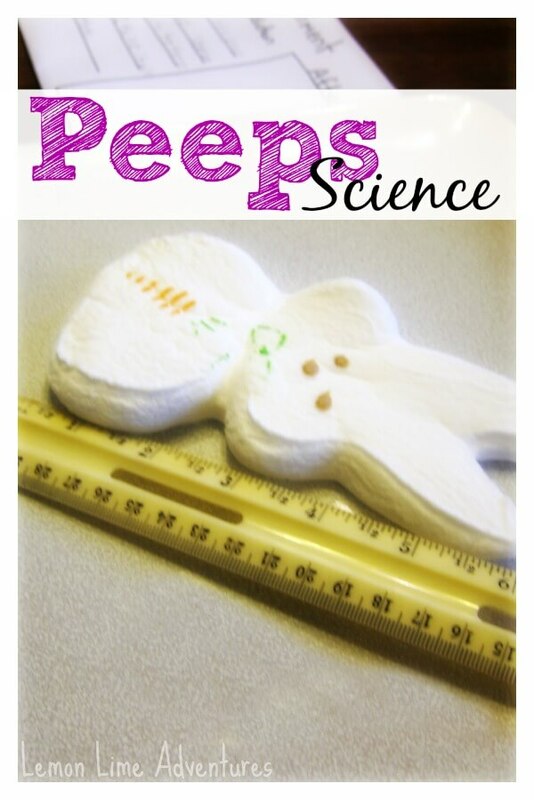 Growing Peeps | How big can a Peep get? What do you need to use to make them bigger? 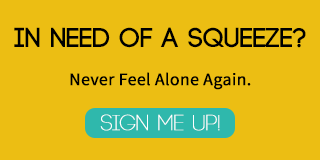 Sink and Float with Peeps | Do Peeps sink or float? 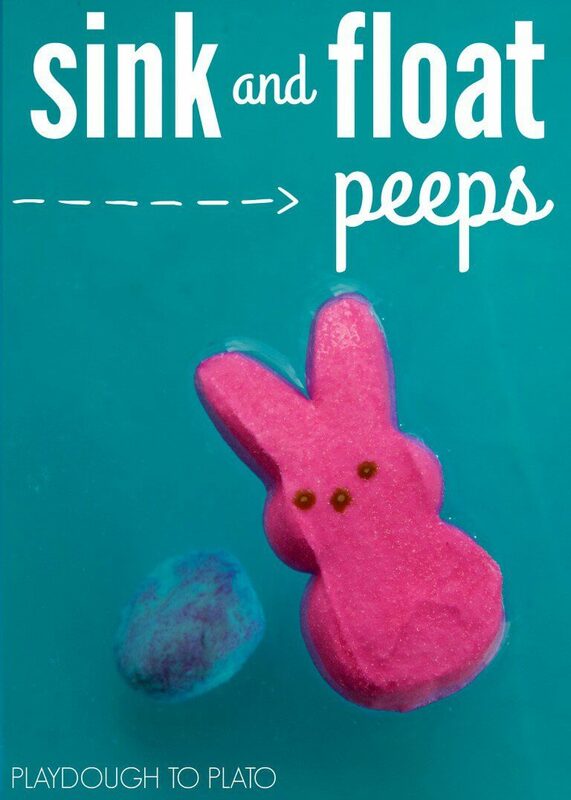 How can you make a Peep do the opposite of what it naturally wants to do? Peeps Jousting | What happens when you put peeps in the microwave with toothpicks in place? 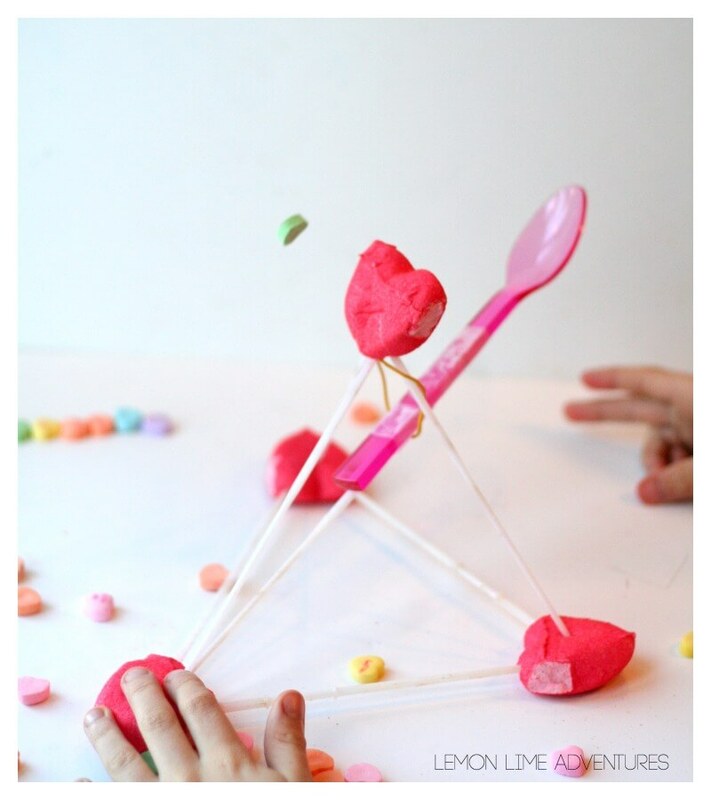 Peeps Catapult | This is such a fun and exciting way to add Peeps to your learning. This can be done with traditional peeps or with seasonal peeps. 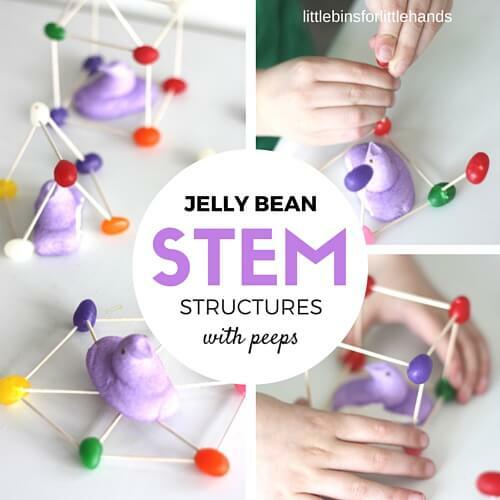 Building with Peeps | Can you make a structure safe enough for a Peep to live in? 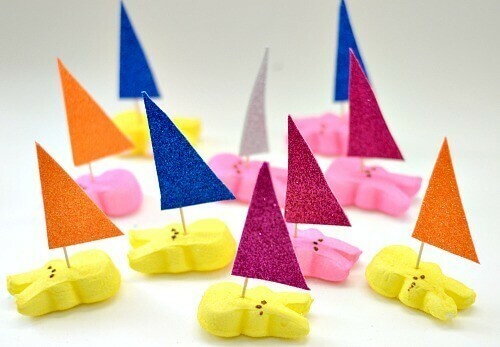 Making Peeps Boats | Can you make a Peep boat that floats? Can you make it go faster and slower? How? 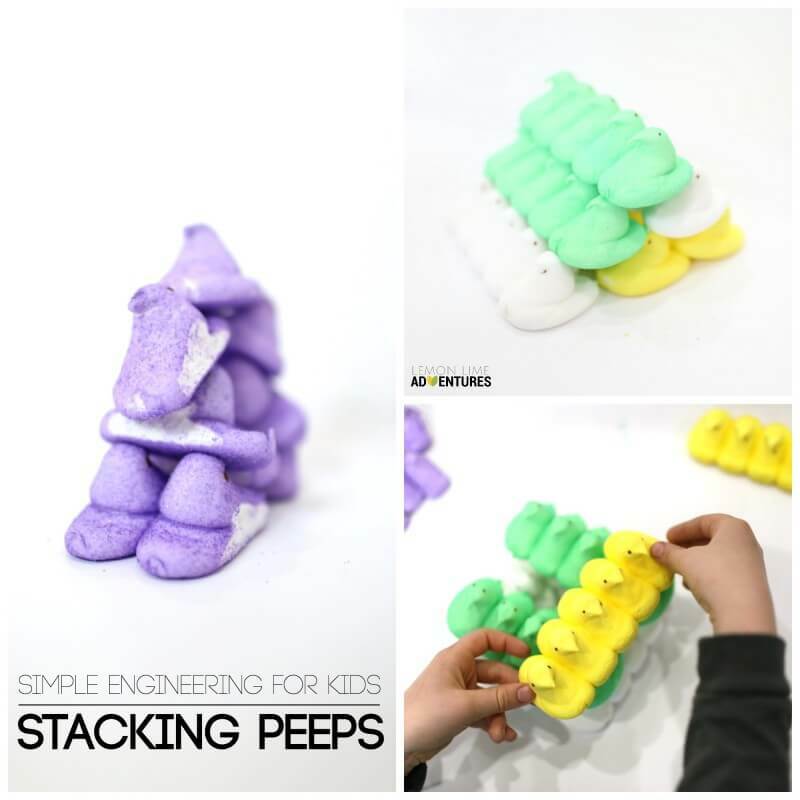 Peeps Stacking | How many peeps can a peep stack if a peep could stack peeps? That’s a saying, right? 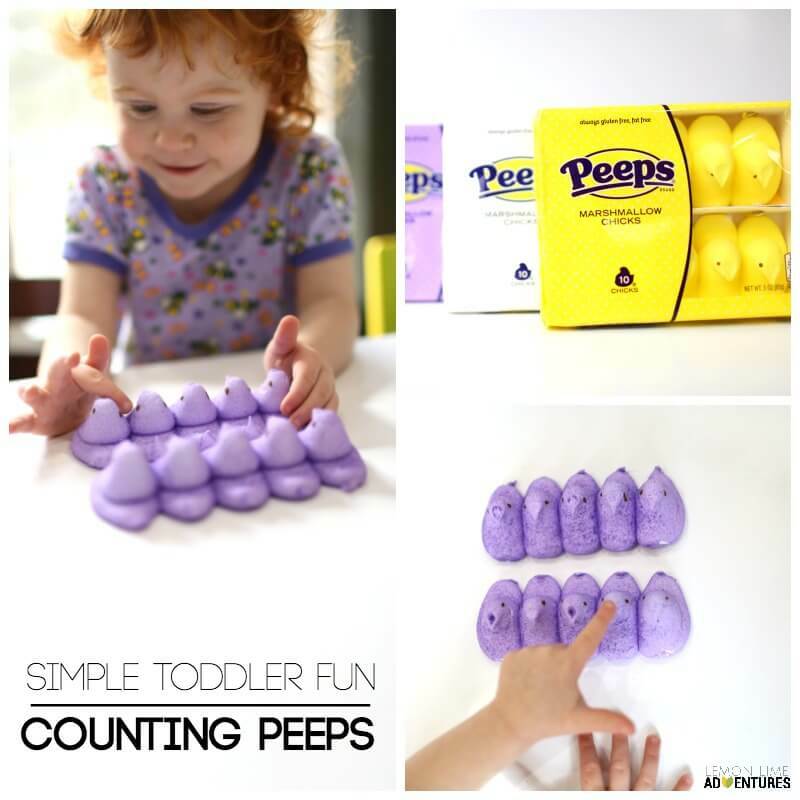 Counting Peeps | Such a super simple but fun activity for any age child. Perfect for right before you eat them! 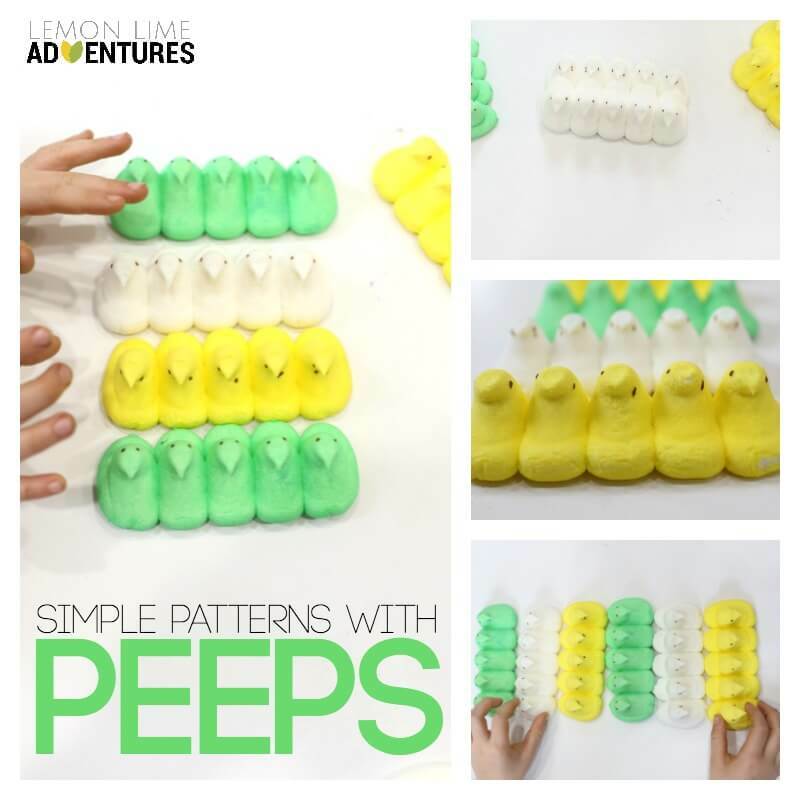 Peeps Patterns | Perfect for early learners. 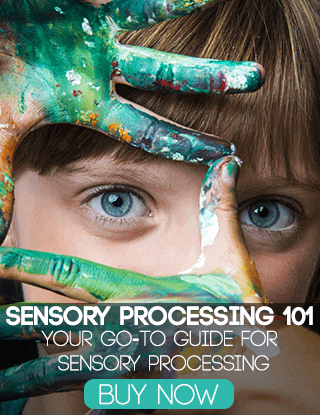 So many variations are possible. So I am curious… What is the first question, you can’t wait to find the answer to? 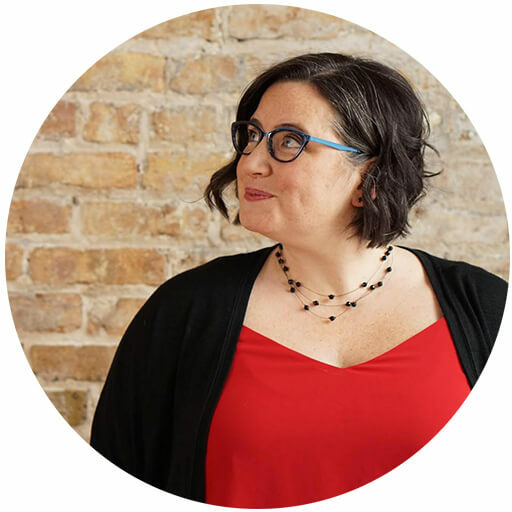 Connect with me on Facebook, Twitter, Pinterest or Instagram and tell me what you try this winter! 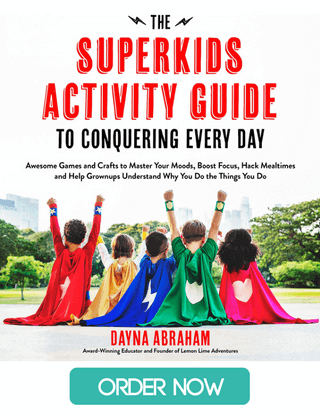 I’ve joined several of my favorite people to bring you our monthly Top Ten lists! 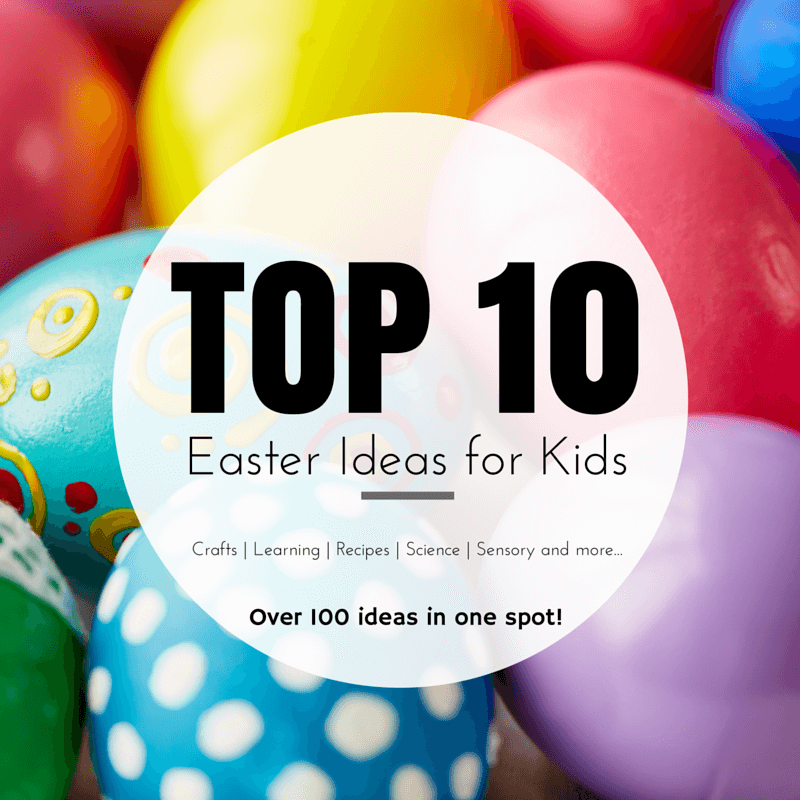 This month, everyone is sharing a Top Ten list for anything and everything Easter related! 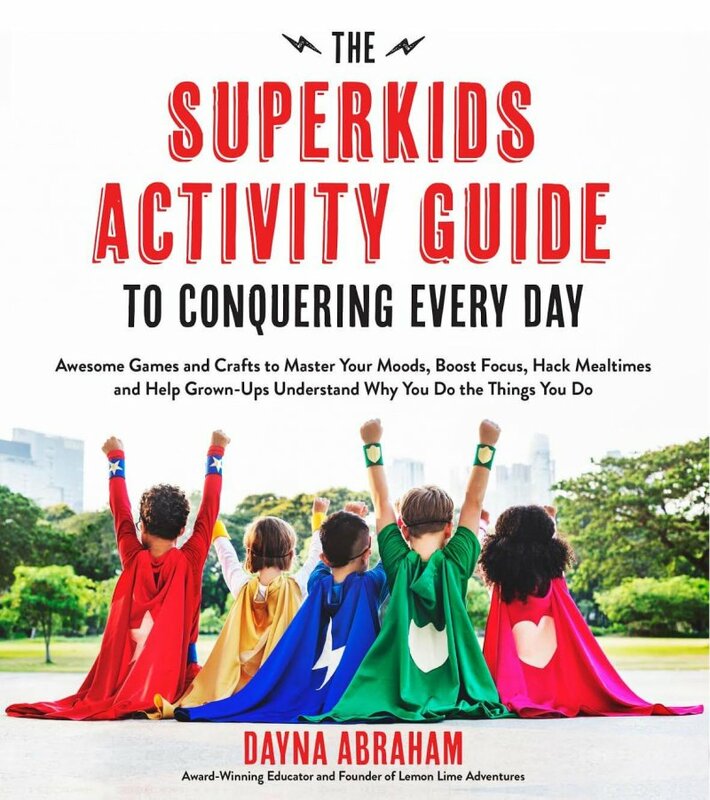 There are more than 200 ideas represented here! How cool is that!